The Washington Redskins were under new leadership and facing long odds (they were 9.5-point underdogs) as they faced the New England Patriots in a season-opening game on September 3, 1978. 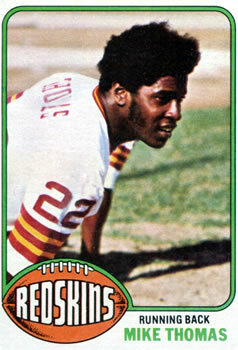 Jack Pardee was making his debut as head coach of the Redskins, the successor to George Allen and his seven straight winning records, including 9-5 in ‘77. Allen had dealt away draft picks to stockpile veterans, and there were concerns about retooling at certain positions. Foremost was at quarterback, where Bill Kilmer was almost 39 years old and being pressed by Joe Theismann, who was named the starter just prior to the opener. HB Mike Thomas was capable and it was hoped that FB John Riggins would rebound from an injury-plagued year. The defense was tough but old and there were concerns in particular about the backfield. New England, coached by Chuck Fairbanks, had also been 9-5 the previous year but was considered to be a contender in the highly competitive AFC East. Steve Grogan brought grit and mobility to the quarterback position and there was a promising group of runners led by FB Sam Cunningham. WR Darryl Stingley’s career was cut short by a spinal cord injury suffered during the preseason and WR Harold Jackson was obtained from the Rams to take his place. 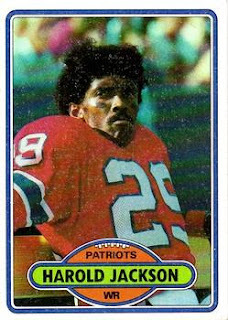 The defense was fifth overall in 1977 and especially strong against the run. There were 55,037 fans in attendance at Schaeffer Stadium in Foxboro, MA. The Redskins came through with a big gain on their first play from scrimmage as Joe Theismann fired a pass to WR Danny Buggs that picked up 63 yards to the New England 17. From there, the visitors made it to the eight before Mark Moseley came on to kick a 26-yard field goal for the early 3-0 lead. That lead held up through the first half as both quarterbacks were erratic and the Patriots failed to take advantage of several opportunities. Drives to the Washington 23 and 26 both came up empty, the last when CB Lamar Parrish picked off a Grogan pass at his 18 with 20 seconds remaining in the second quarter. Three minutes into the third quarter, the Patriots finally got on the board as the result of an 80-yard drive in seven plays when QB Steve Grogan passed to WR Stanley Morgan for a 33-yard touchdown. John Smith added the extra point for a 7-3 advantage. The Redskins responded later in the period thanks to 18-year veteran DE Ron McDole’s interception of a Grogan pass that he batted into the air at the line of scrimmage and that resulted in an 11-play, 55-yard advance. Mike Thomas converted one third down with a six-yard run and then another in which he made a diving catch for 14 yards to the New England 22. After reaching the 10, a fumbled snap lost five yards and Theismann’s throw to WR Frank Grant in the end zone was dropped. Once more it was Thomas, circling out of the backfield and getting open for a 15-yard TD toss from Theismann. Moseley’s extra point attempt hit the goal post and was unsuccessful but the visitors were in front by 9-7. As the game headed into the fourth quarter, the Patriots put together an 80-yard drive as two reserves, HB Horace Ivory and TE Don Hasselbeck, made key plays and Grogan went long to Harold Jackson for a 45-yard touchdown. Smith’s conversion put New England back on top by 14-9. Up by five points, the Patriots were attempting to run out the clock as they took possession in the last three minutes. But on a second down play Ivory, attempting to sweep around right end, was hit hard by DT Dave Butz, causing a fumble. LB Brad Dusek, a former member of the Patriots, grabbed the ball on one bounce and raced down the left sideline along with a convoy of teammates for a 31-yard touchdown. Moseley this time made good on the PAT and the visitors clung to a two-point lead with 2:40 left to play. The Patriots still had time and a brisk wind at their backs. They got a break on the next series as Grogan fumbled when sacked by DE Diron Talbert and the Redskins recovered, but the play was nullified by an illegal bump on Parrish. That gave the Patriots a first down at their 32, but a handoff to HB Andy Johnson was botched, DE Coy Bacon sacked Grogan for a 13-yard loss, and a third down pass was dropped by WR Don Westbrook to force a punt. Washington then put the game away when John Riggins broke away for a 31-yard gain to the New England 16 in the last minute, allowing the Redskins to run out the clock and win by a final score of 16-14. Total yards were nearly even, with the Patriots having a slight edge (326 to 324) although New England more decisively led in first downs (21 to 14). However, the Patriots also turned the ball over three times, to two suffered by Washington, and the Redskins recorded three sacks, to one by New England. Joe Theismann completed 10 of 24 passes for 184 yards and a touchdown while giving up an interception. Mike Thomas ran for 70 yards on 11 carries and also led the Redskins with four catches, for 46 yards and a TD. With the long gain to start the game, Danny Buggs gained 89 yards on two pass receptions. John Riggins contributed 60 rushing yards on 16 attempts. For the Patriots, Steve Grogan was successful on just 12 of 31 throws for 199 yards and two TDs with two interceptions. Despite the late fumble, Horace Ivory had a fine overall performance with 89 yards on 16 carries. Harold Jackson caught 7 passes for 124 yards and a touchdown. The opening win was the first of six straight for the Redskins, but they slipped badly during the second half of the season to finish at 8-8 and third in the NFC East. New England recovered to win eight of the next nine games, and topped the AFC East with an 11-5 record. However, the announcement by Coach Fairbanks that he was resigning to take over at the University of Colorado just prior to the season finale, and his immediate dismissal by owner William H. Sullivan effectively pulled the plug on the season. The Patriots lost decisively to Houston in the AFC Divisional playoff round. 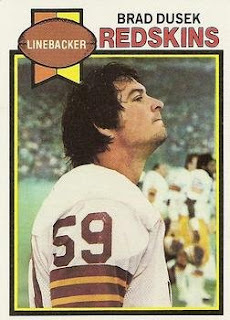 Brad Dusek, who was originally drafted by the Patriots, was in his fifth season with Washington and well established as the starting left linebacker. His game-winning fumble recovery was one of two for the year and 16 over the course of his career, three of which he returned for touchdowns.